1867. Bessemer plant at John Brown and Co's works in Sheffield by Walker, Eaton and Co.
1901. 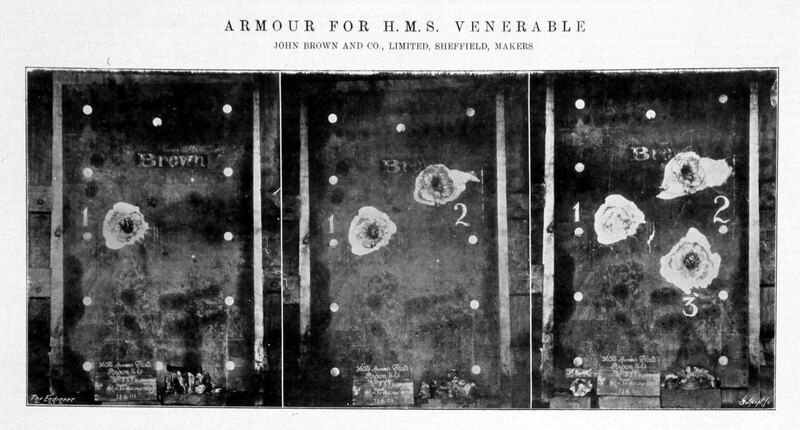 Armour for HMS Venerable. 1904. 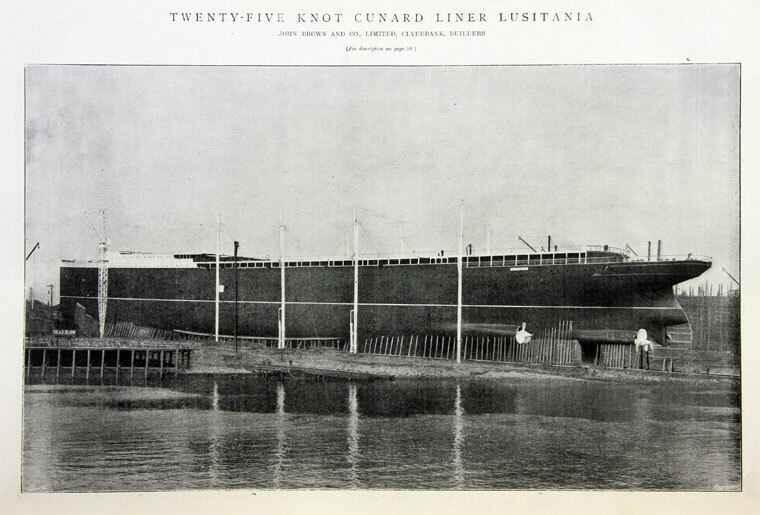 The New Cunard Liner SS Coronia. 1904. 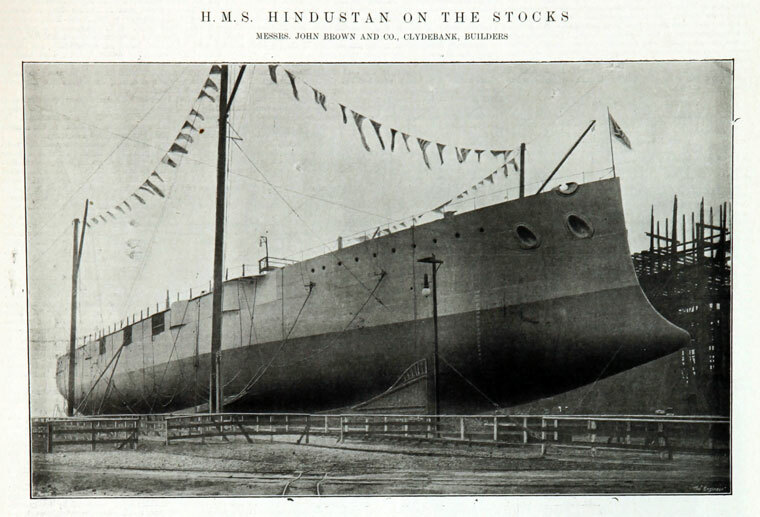 HMS Hindustan on the stocks. 1904. 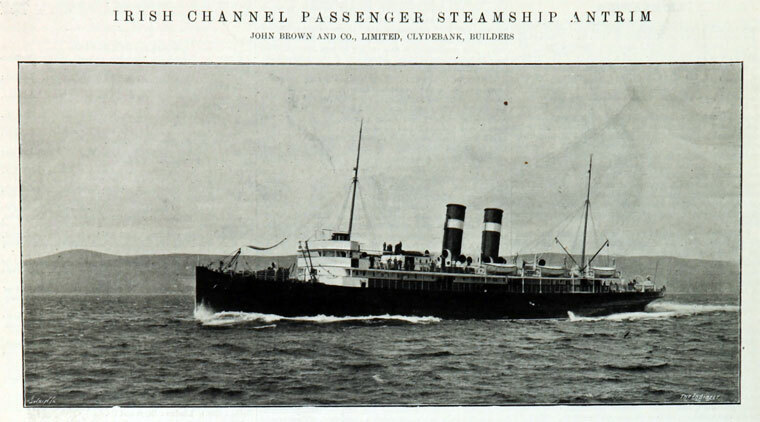 Irish Channel Passenger Steamship Antrim. 1909. 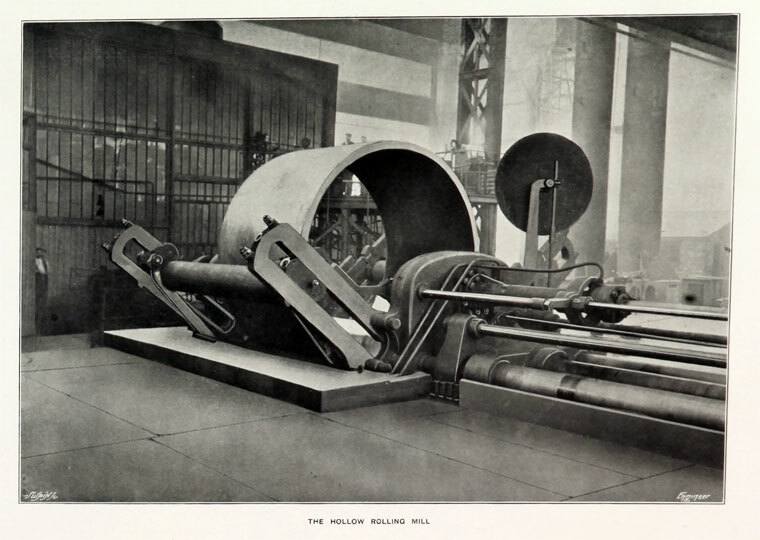 Hollow Rolling Mill. Sheffield. Drum in a Lathe. 1913. 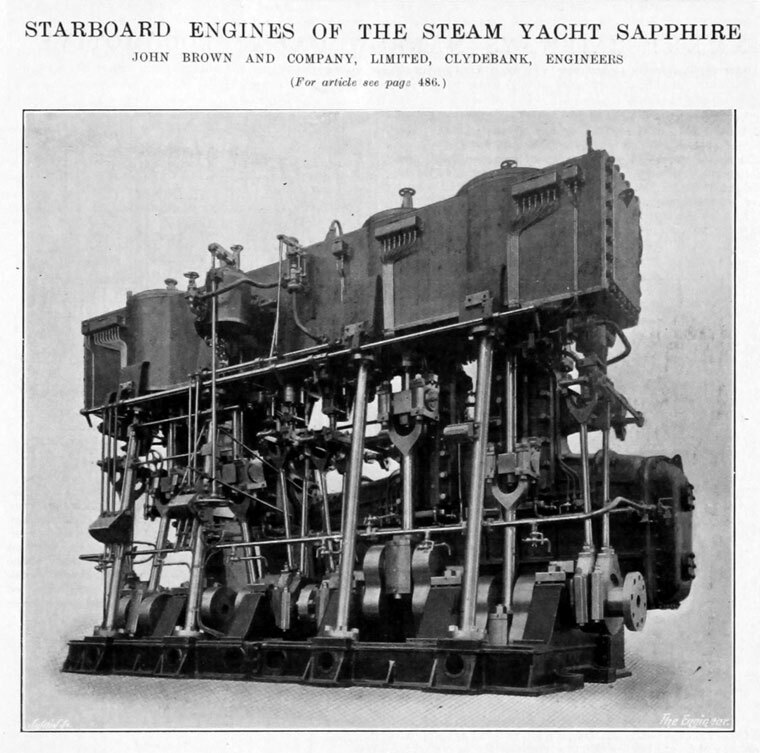 Engines of the Steam Yacht Sapphire. 1920. 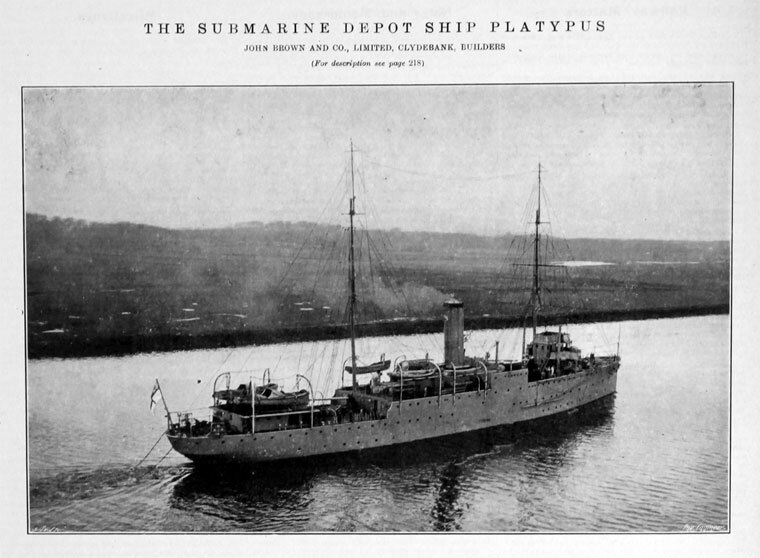 Submarine depot ship Platypus. 1928. CPR Liner, Duchess of Bedford. May 1930. Of Atlas Works, Sheffield. 1936. 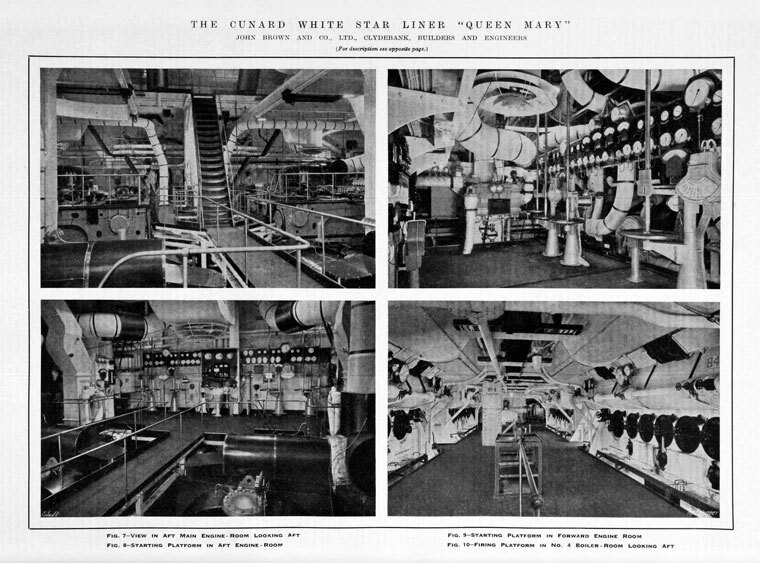 RMS Queen Mary‎ . 1938. Queen Elizabeth. 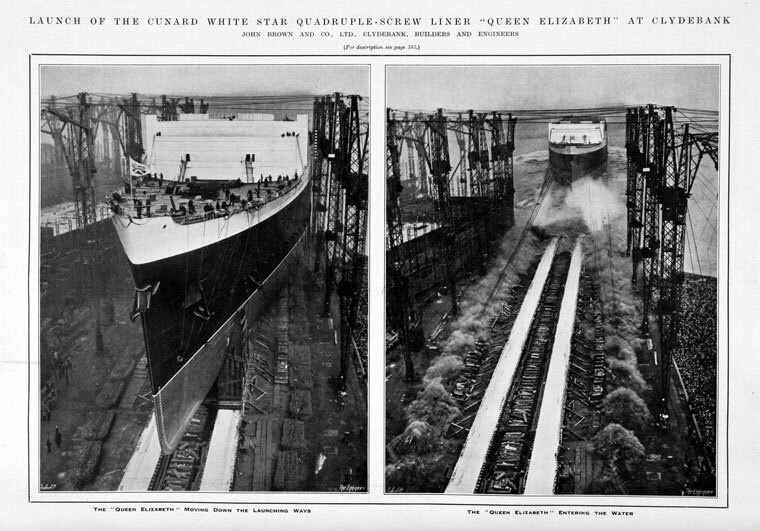 White Star Line. 1949. 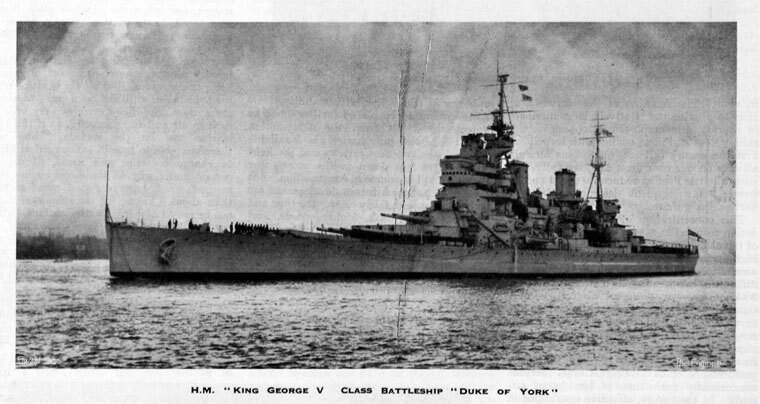 King George V Class Battleship "Duke of York". 1951. Norfolk Ferry Stern View. 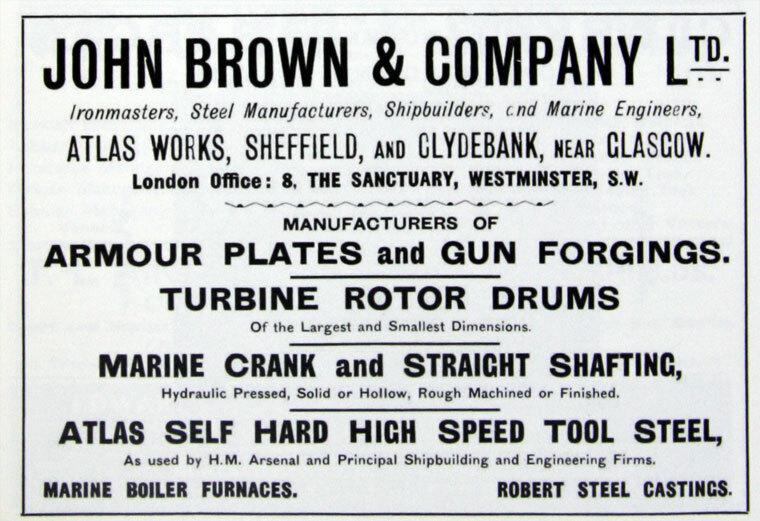 John Brown and Company, steel makers of Atlas Works, Sheffield, later shipbuilder and engineers of Clydebank, West Dunbartonshire. 1838 The firm was founded in 1838, in Orchard-street, Sheffield and rapidly made progress owing to the production of a conical buffer spring for railway vehicles.John Brown set up his own steel company in Sheffield, manufacturing at a small foundry on a site of what is the now Orchard Square Shopping centre. 1844 The business prospered so he sold his factoring firm and moved to larger premises on Furnival Street. 1855 Brown removed his new Atlas Works to Savile-street Brightside in an effort to centralise his workshops and workforce in one place; the works originally were on a three acre site but within three years had grown to 30 acres. A few years later he took into partnership Mr J. D. Ellis and Mr W. Bragge. 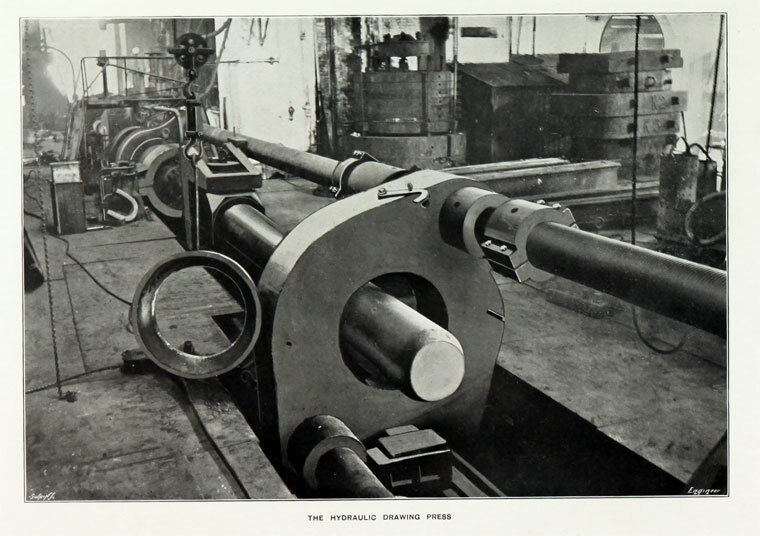 It was about this time the firm began the manufacture of an iron suitable for conversion into steel, and so laid own the foundation of a new Sheffield industry. 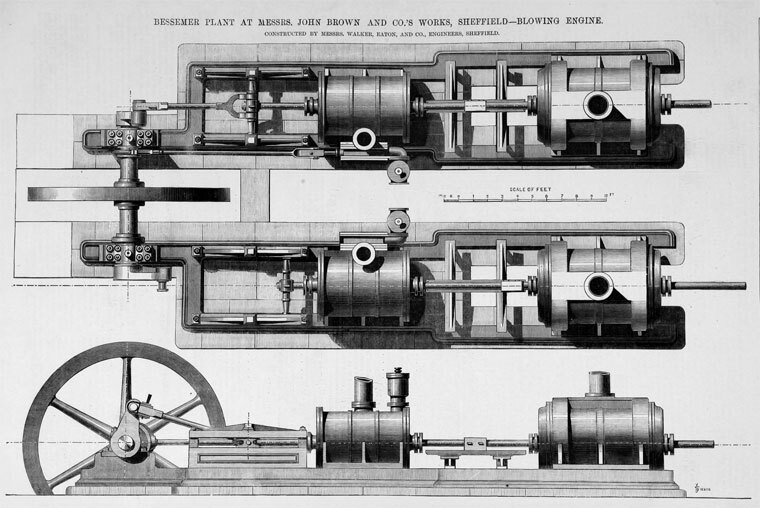 1860 Brown built a rolling mill and submitted examples of rolled armour plate to the Royal Navy. Tests on the armour at Portsmouth in 1862 were so successful that by 1867 75% of Royal Navy ships had Brown's armour plate on them. The success of his armour business made Brown a personal and professional fortune. 1863 The company had made such progress that it employed between 2000 and 3000 men. Set up Dalton Main Collieries with the aim of purchasing Roundwood Colliery at Parkgate and to purchase land between Thrybergh and Ravenfield, known as Silverwood, and sink a new deep colliery there. 1880 John Brown and Co were listed as being the owners of Aldwarke Main at Parkgate. 1884 A second shaft was sunk at Aldwarke Main to reach the Silkstone Seam. 1890 Visit by the Institution of Mechanical Engineers. Write up in The Engineer 1890/08/08. 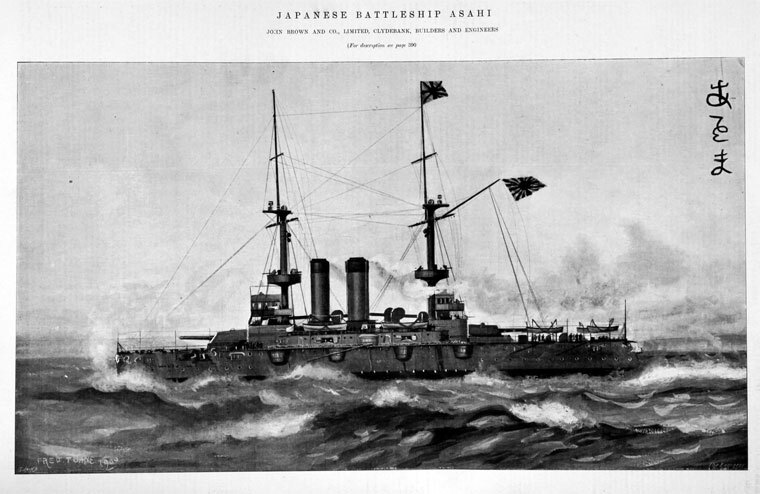 1899 Had supplied many component parts of ships; the company believed it could gain more value by building the ships themselves together with their propulsion systems. Took over the shipbuilding yard of Clydebank Engineering and Shipbuilding Co‎ of Clydebank. 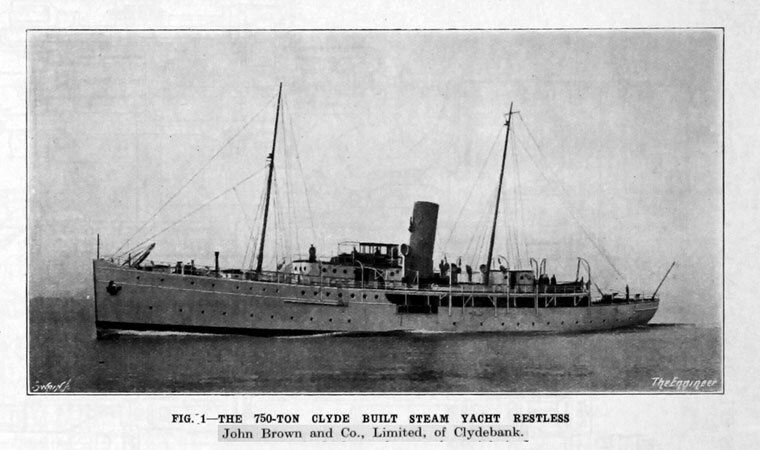 1899 See 1899 Shipbuilding Statistics for detail of the John Brown tonnage produced. 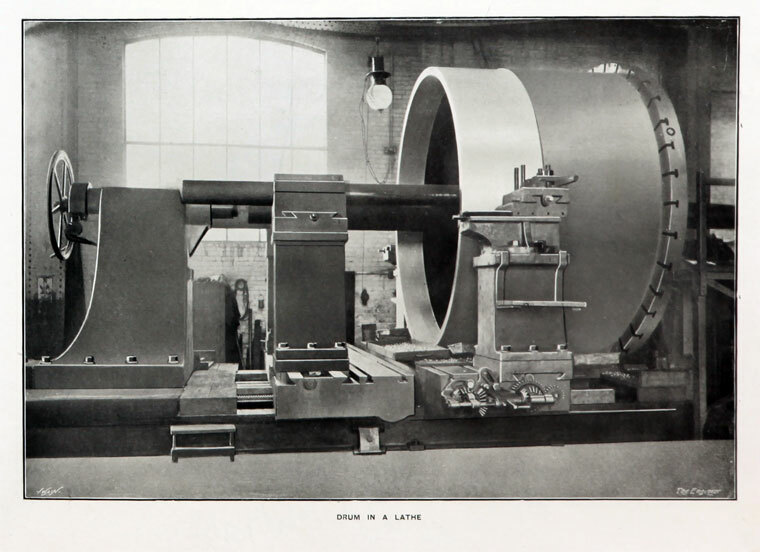 Early 1900s, the company developed the Brown-Curtis turbine. 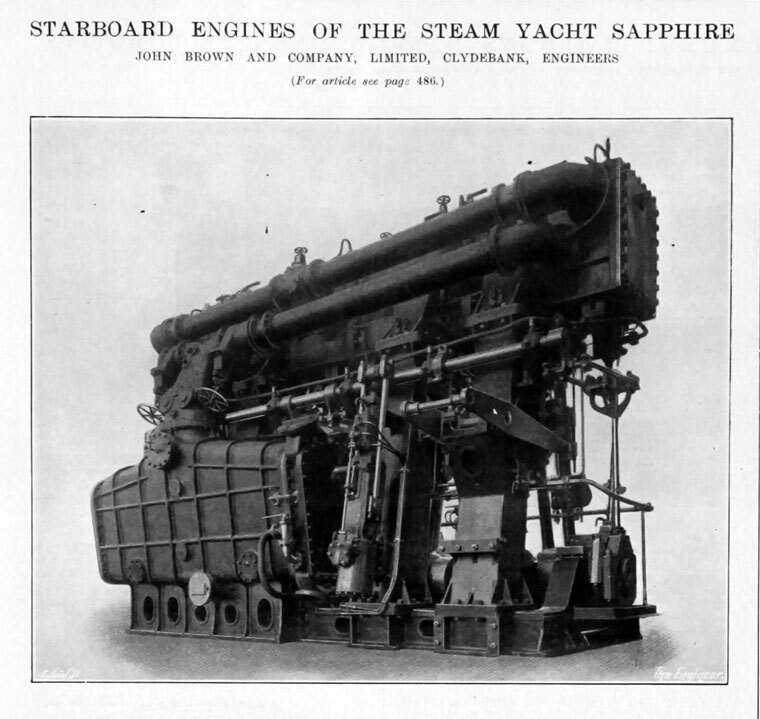 The performance of these engines impressed the Royal Navy, which placed orders for many of its major warships with the company. 1902 The company acquired seven-eighths of the ordinary shares of the neighbouring Sheffield company Thomas Firth and Sons by exchange of shares and entered a working agreement; the companies continued under their own management until they finally merged in 1930. 1907 John Brown and Co took a controlling interest in the Belfast shipbuilders Harland and Wolff. 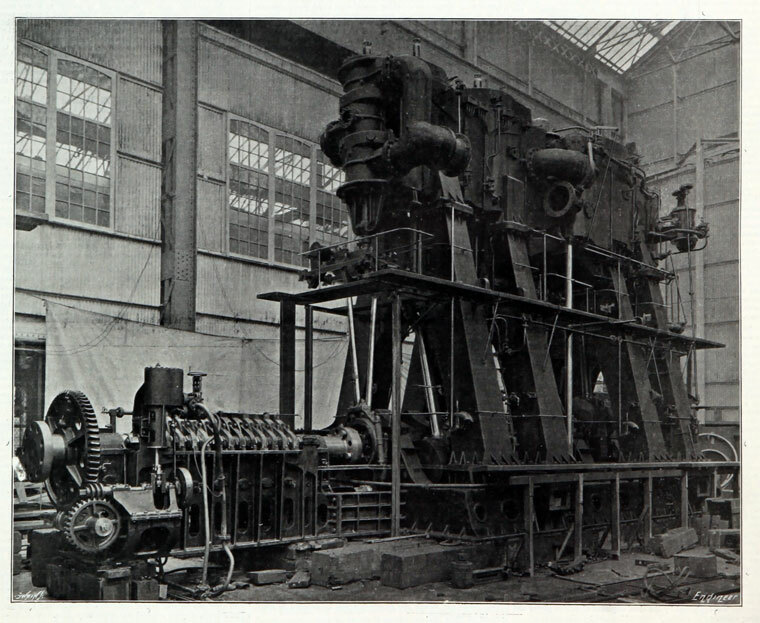 1907 Constructed 4 turbine sets under licence from Parsons Marine Steam Turbine Co.
1908 Purchased the Dalton Main Collieries. John Brown became sole proprietors of that company. 1909 By this time production was in full swing at Silverwood Colliery. 1914 Steel Manufacturers, Shipbuilders and Coal-owners. Also Manufacturers of Railway Material, Marine Specialities, Armour Plates, Guns, Battleships and Passenger Steamers of the largest size and power. 1916 John Brown and Co with Harland and Wolff acquired a large share in the Motherwell steel works of David Colville and Sons, together with their collieries, to supply the yards. 1919 Coventry Ordnance Works was taken over by English Electric Co which would be chaired by Sir Charles Ellis, chairman of John Brown and Co. In exchange the company received English Electric shares. 1927 Also see Aberconway for information on the company and its history. At this time John Brown and Co owned the Aldwarke and Rotherham Main Collieries of the Dalton Main Colliery Co. as well as Silverwood Colliery, and had a large interest in the Yorkshire Amalgamated Collieries which owned some of the chief South Yorkshire pits. 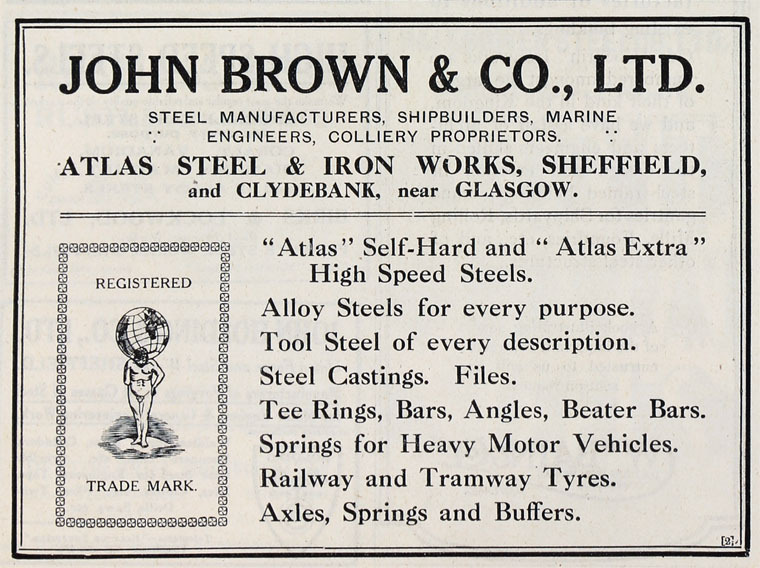 1930 Merger of the steel making interests of John Brown and Co with the neighbouring company Thomas Firth and Sons to form Thomas Firth and John Brown, otherwise known as Firth Brown. John Brown's only interest in steel making was now in the form of shares in the new company, of which it held the great majority. 1938 Purchased a 50% interest in Westland Aircraft Ltd, together with their "friends" AEI who had also made a substantial purchase of shares, in order to place at the government's disposal the combined resources of these companies for aircraft production. 1948 Public issue of shares in A. C. Wickman with several John Brown directors on the board. 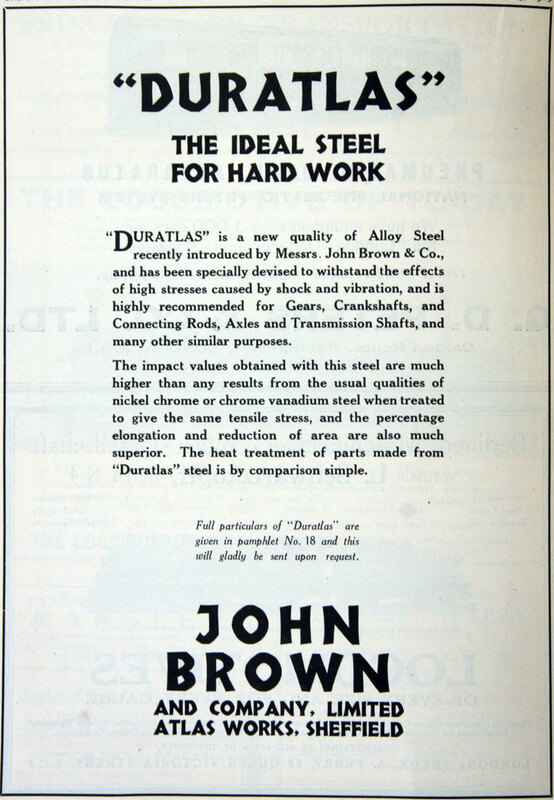 1952 The company had received £5.5 million in British Iron and Steel stock for its shares in Thomas Firth and John Brown, most of which had quickly been used, including for redeeming Preference shares, purchasing the ordinary share capital of Firth, Brown Tools Ltd from Thomas Firth and John Brown and for capital expenditure and expansion of subsidiaries, including Clydebank and Cravens Railway Carriage and Wagon Works at Sheffield, as well as development of new business in helicopters, gas turbines and large power generation stations. 1955 It was decided that, on denationalization of Thomas Firth and John Brown, individual shareholders should have the opportunity to invest in the shares, rather than them being acquired by John Brown and Co.
"John Brown and Co (Clydebank) Ltd states that consideration of the future, particularly in light of the Geddes Report, has led to a decision by the board of John Brown and Co, fully supported by the board of John Brown and Co (Clydebank) Ltd., to separate a substantial part of the engine works from the shipyard and form this as a separate company, directly subsidiary to John Brown and Co. The installation of ship's machinery, including both office and shop work, will be transferred to shipyard control and integrated with corresponding shipyard work. 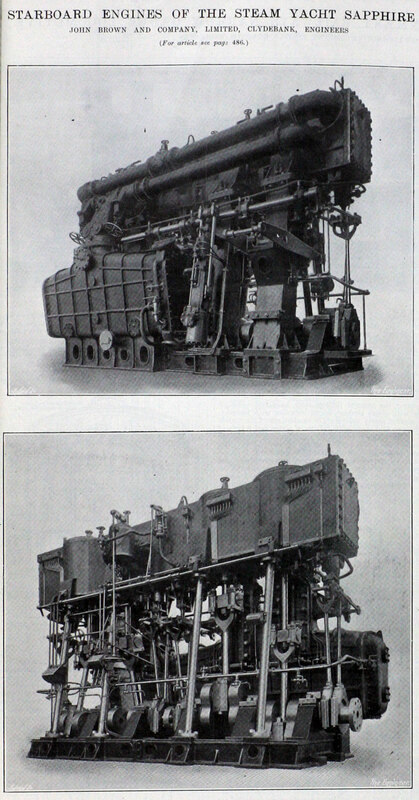 Other engine works' activities, both marine and non-marine. will become the responsibility of the new company, which will be named The Clydebank Engineering Co."
- see below: Engineering and Shipbuilding respectively. 1894 Description of the Atlas Works in Sheffield in The Engineer (p377). Purchased site in 1854. 1914 Manufacturers of Railway Material. 1930 Continued low level of orders for castings, armour, etc. due to reduction in demand for large war ships and passenger liners. 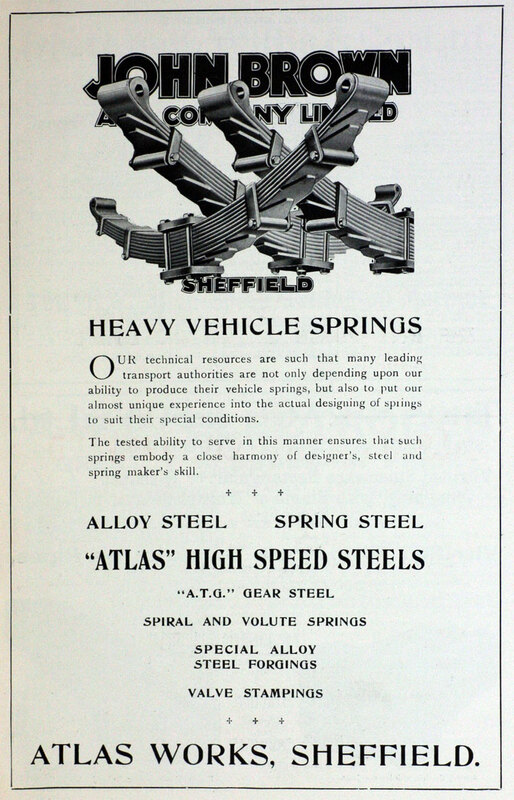 1930 The steel making interests of John Brown and Co, namely the Atlas and Scunthorpe Works, were transferred to the neighbouring company Thomas Firth and Sons to form Thomas Firth and John Brown, otherwise known as Firth Brown. 1949 Assets of Dalton Main Collieries were nationalised. 1952 The company had received £5.5 million in British Iron and Steel stock for its shares in Thomas Firth and John Brown. 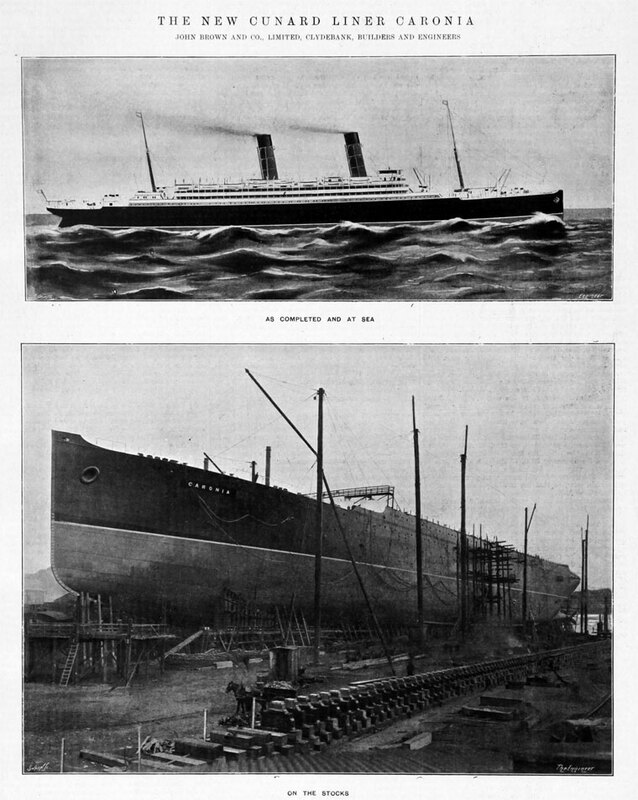 1899 Took over Clydebank Engineering and Shipbuilding Co, which encompassed the shipbuilding yard of J. and G. Thomson of Clydebank. This strengthened the yard's reputation for building armoured plate. 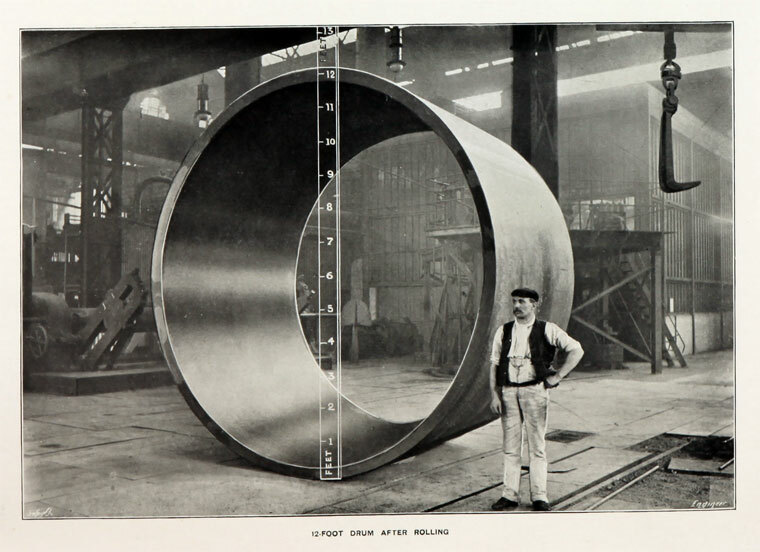 1900s In the early 1900s, the company innovated in marine engineering technology through the development of the Brown-Curtis turbine, which had been originally developed and patented by the U.S. company International Curtis Marine Turbine Co. 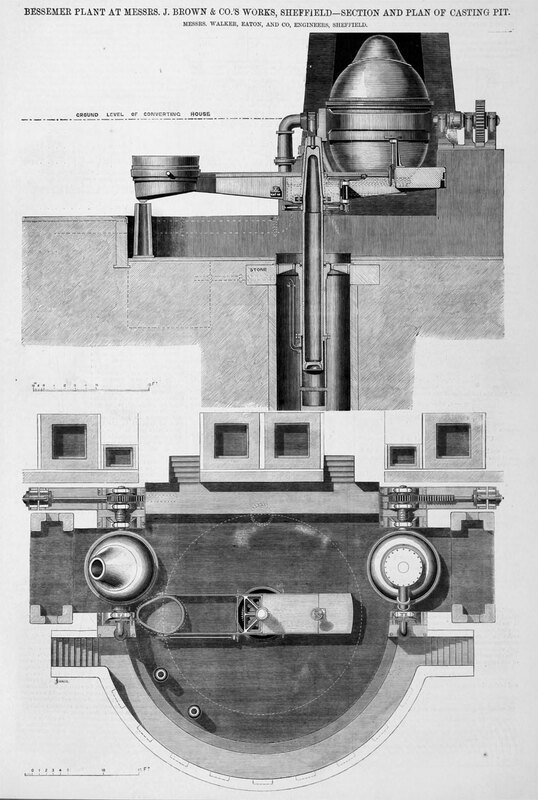 The performance of these engines impressed the Royal Navy which, as a consequence, placed orders for many of its major warships with John Brown. 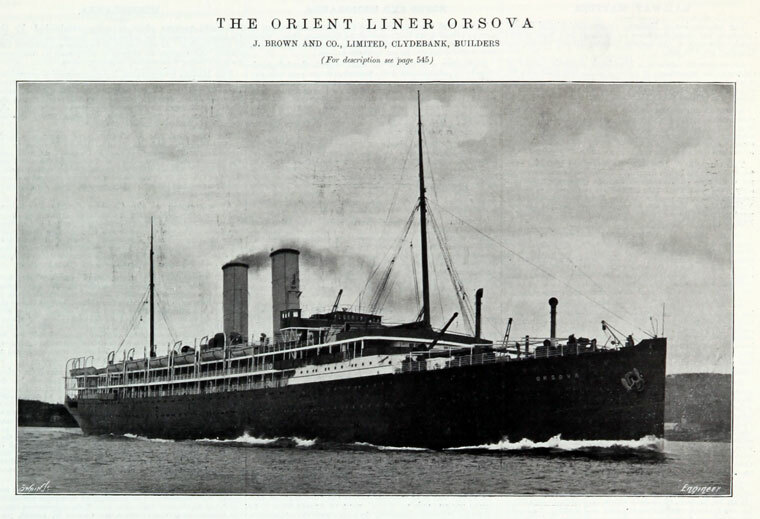 1905 Coventry Ordnance Works was set up by a consortium of British shipbuilding firms. 1907 John Brown and Co took a controlling interest in the Belfast shipbuilders Harland and Wolff which led to further orders for cargo-liners and then refrigerated vessels for the New Zealand meat industry; the yard built 11 such ships between 1889 and 1912. Prior to World War I, the yard consolidated its naval and Admiralty work which had led to it being used to build battlecruisers, battleships, cruisers, destroyers and submarines. 1914 Builders of the record-breaking Cunarder RMS Lusitania. Also Manufacturers of Railway Material, Marine Specialities, Armour Plates, Guns, Battleships and Passenger Steamers of the largest size and power. WWI. The yard was producing destroyers almost monthly. 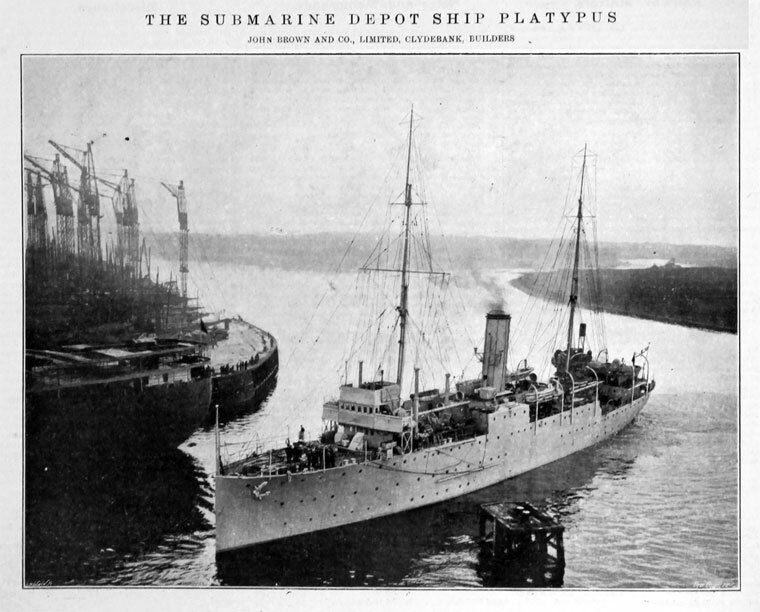 The yard also made a railway steamer and a merchant ship. 1920s Naval work continued to be the mainstay of the yard, along with passenger liners and cargo-liners. 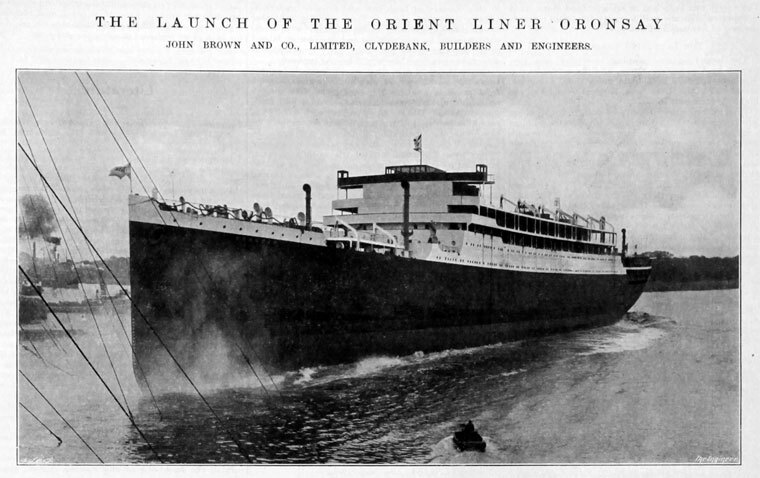 In particular, over a dozen large liners were completed between 1922 and 1932. However in the early 1920s, the yard slowed down somewhat when work was hard to come by. 1931 Construction of new Cunarder for its express Atlantic service; completion of contract depended on agreeing insurance with the Government and persuading the Southern Railway to build a new terminal at Southampton. 1930s Orders from Australia for cruisers, along with continuing Admiralty work led to the West yard being reopened in 1934. 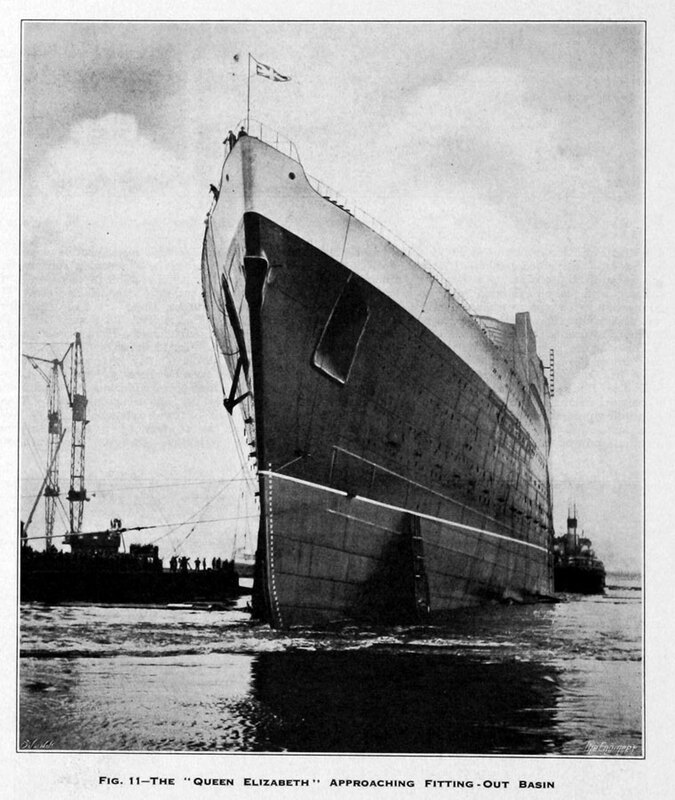 1936 Keel laid for new Cunarder. 1937 Acquired engineers Markham and Co of Chesterfield. 1939 Launch of battleship Duke of York. WWII The yard was extremely prolific during the War. Focusing on naval construction, the output consisted of a battleship, aircraft carrier, cruisers, a monitor, a depot ship, 28 destroyers, two frigates and eight invasion barges. The yard also repaired or made alterations on 116 warships of varying sizes and types and eleven merchant ships were converted for war time use too. Post-War: the yard went back to merchant construction, with passenger liners being a key part of this work. 1952 The yard completed the Royal Yacht Britannia, which was launched on 16th April 1953 by The Queen. However, the key focus remained on tankers and cargo-liners; from 1946 to 1962 the yard built 25. In addition from 1950 to 1965 the yard also built ever larger tankers, 25 in total. The yard also continued making ferries for British companies and continued with its Admiralty commitments. 1953 Became a private company John Brown and Co (Clydebank) Ltd.
1954 Work on water and gas turbines expanded. 1960s The East Yard had four berths and the West yard had two berths; more merchant orders for South African and Singaporean companies. 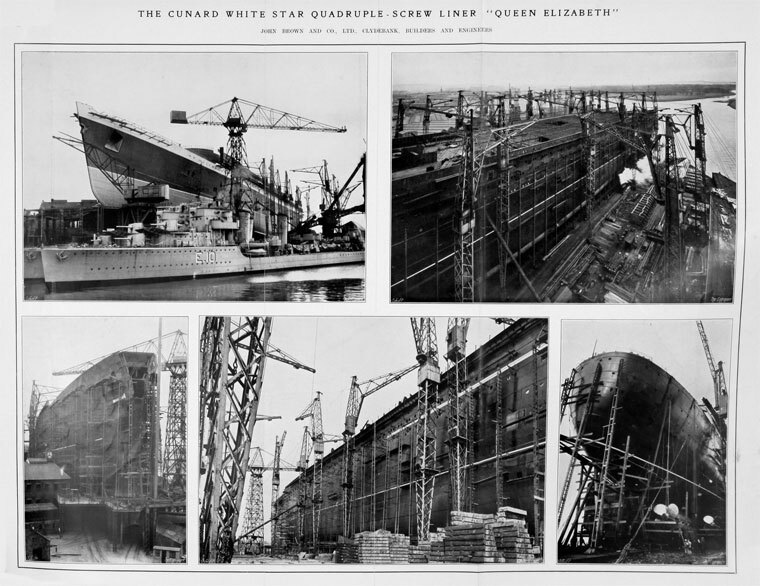 1967 Launched the RMS Queen Elizabeth II on September 20th. 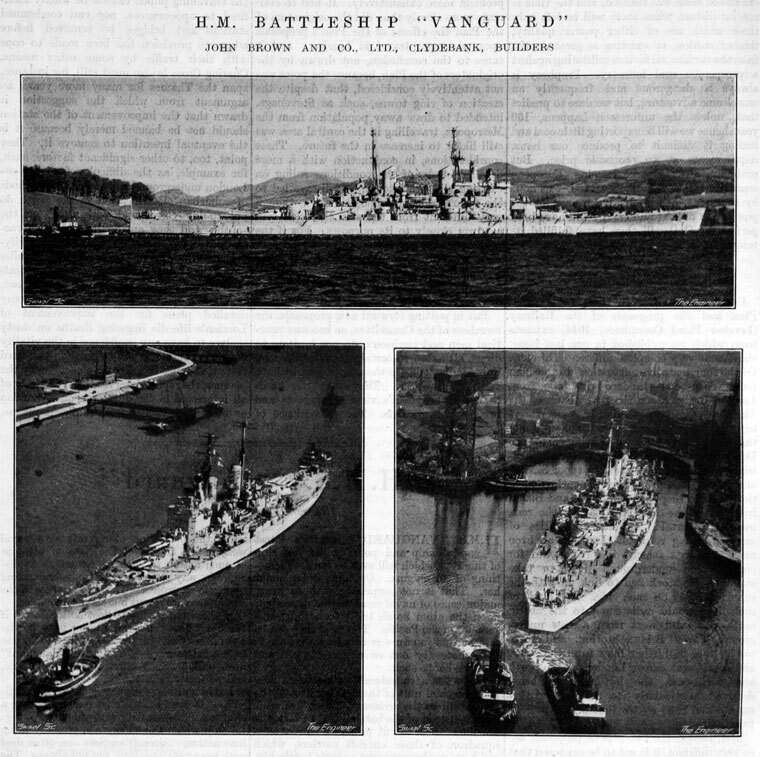 1968 Following the publication of the Geddes Report, the Clydebank, Fairfield, Stephen and Connell yards became Upper Clyde Shipbuilders in 1968. The East Yard began to make oil rigs. 1970s The East Yard only made two more ships, whereas the West yard continued to build bulk carriers; from 1965 to 1973, 12 such were made. 1971 Upper Clyde Shipbuilders Ltd collapsed. 1973 The Clydebank yard was sold to Marathon Oil of Texas for the building of oil rigs. The West Yard was refurbished and new fabrication shops were built parallel to the river. The yard continued making oil rigs. 1980 Marathon closed the Clydebank yard and it was taken over by the French owned Union Industrielle et d'Enterprise. Throughout the early 80s, until 1986, a number of triangular oil rigs were made. The East Yard was demolished in 1986; the West Yard continued to make large oil rigs. 1938 Purchased a controlling interest in Westland Aircraft from Petters plus additional land adjoining the Westland site at Yeovil for expansion of production, paid for in Westland shares. This move was said to bring John Brown's experience of shipbuilding, as well as with new steels, to the production of aeroplanes. This move was said to be in keeping with John Brown's policy of sharing developments in transport. The later history of Westland is described under that heading. 1947 Acquired A. C. Wickman, to be known as Wickman Limited. .
1952 John Brown and Co had purchased the ordinary share capital of Firth, Brown Tools Ltd from Firth Brown. 1953 Markham and Co had received "plentiful" orders for hydro-electric work. Costain-John Brown had a number of contracts for refinery plant. 1954 John Brown Land Boilers Ltd was established as a separate entity having previously operated as a division of the Clydebank company. Had orders in hand for 17 boilers for power plant. 1955 Final compensation for nationalization of collieries received; liquidation of Dalton Main Collieries Ltd.
1957 Collaboration formed with Hawker Siddeley to apply nuclear power to marine propulsion, electrical generation and industrial applications. Hawker Siddeley John Brown Nuclear Construction was registered as a private company in September. 1959 Constructors John Brown gained a number of contracts for oil refineries and chemical plants in the UK and abroad. 1959 As a result of the issue of shares by Westland Aircraft Ltd to purchase Saunders-Roe Ltd, the helicopter division of Bristol Aeroplane Co Ltd and Fairey Aviation Co, John Brown's holding in the company had been reduced but the company had purchased more shares in Westland. 1960 Joint venture Solartron-John Brown Automation with Solartron Electronic Group to exploit the Gumertz patents on automated dispensing of warehousing and supermarket operations. 1963 Formed Cravens Industries Ltd to hold the shares in the various subsidiaries concerned with railway rolling stock and vehicles bodies. 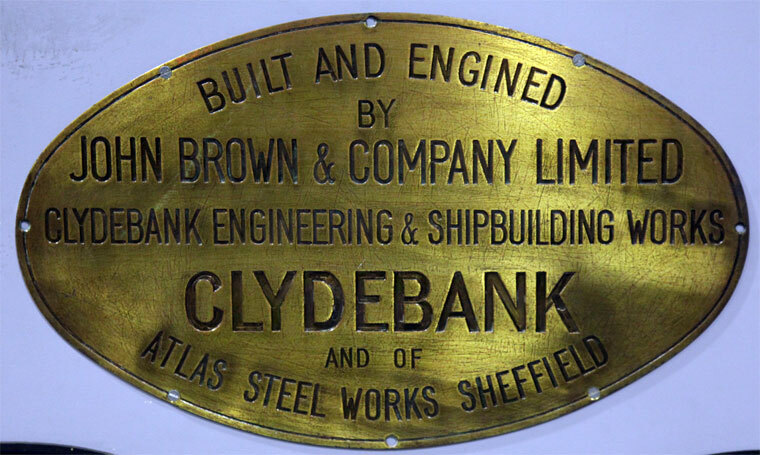 1966 The engineering works were separated from the shipyard by the creation of a new company John Brown Engineering (Clydebank) Ltd while the shipyard continued under the name John Brown & Co (Clydebank) Ltd and eventually became part of British Shipbuilders. 1968 Foster Wheeler-John Brown supplied boilers for Eggborough power station. 1982 John Mayhew-Sanders, chairman of the engineering group, was knighted in the Queen's Birthday Honours List for services to exports. This page was last edited on 17 July 2018, at 11:43.